The above mentioned Chinese proverb has its fulfilment at the modest hamlet of Marangattupilly in Kottayam district of Kerala. The year 1983 witnessed Labour India stepping up into the exciting world of educational publications. The tiny seedling planted by Mr. George Kulangara, the founder Chairman, has now grown into a mighty banyan tree. Having started with a single magazine in 1983, it now produces 30 specialized educational journals ranging from the Primary level to the Higher Secondary level courses - all to quench the thirst of the student, teacher and parent communities and to win their hearty admiration. Labour India Publications Ltd. was transformed into Labour India Educational Research Centre under the leadership of Mr. Santhosh George Kulangara, the Manging Director of Labour India Group, and it was inaugurated by the former President of India Dr. K.R. 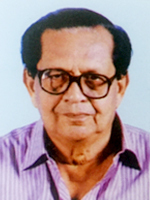 Narayanan on March 19, 2004. Labour India Educational Research Centre (LIERC) makes use of the talents of eminent educationists, scientists, gifted children’s writers, highly experienced teachers, graphic designers and so on - all putting their heads together under the same roof. It is a state-of-the-art Educational Research Centre where about 250 experts work together to shape educational journals, educational aids, reference books, Multimedia products, Online educational services, and the Labour India Yearbook for the eternally curious whizz - kids. Labour India’s educational journals aim at students ranging from the primary to the higher secondary levels as well as their teachers and parents. It is for such a diverse panorama of readers that Labour India brings out 30 educational journals that reach 1.6 million readers every month. Nowadays our educational scenario is on the verge of rapid development and growth. LIERC is fully conscious that the essence of education is the moulding of every student into a worthy citizen by discovering and developing the latent talents in them. LIERC is obliged to equip the students helping them to meet all the challenges of the rapidly changing world. Keeping pace with such changes, LIERC conducts Smart Camps for students. Smart Camp is one of the many programmes of LIERC conducted with a view to develop each and every child into an individual with great personality. The Smart Camp is aimed at discovering, awakening and nurturing the inherent talents of children. The children in this camp are trained by a 40-member team that includes eminent trainers and educationists. Every year, thousands of children participate in these camps. The accomplishment of the reforms and developments in the field of education necessitates the training and enlightening of our teachers and updating them on the latest trends in the field. This should be a continuous process that will enable them to keep pace with the changes in the objectives, curriculum, evaluation and so on, and to give the right kind of guidance to the students in the most effective way. They must be able to enjoy the mission they have taken up and must be aware of the ever-expanding horizon of information and knowledge that lie ahead. Labour India Educational Research Centre equips our teachers with all the above requirements and much more as occasions demand. The Labour India Rural Employment Programme (LIREP) is a project aimed at providing employment to rural women. There are 3000 members working in this project, and they lead a happy life by earning income by supplying Educational Journals, books and other educational products developed by Labour India Educational Research Centre to rural households. The LIREP members, which include mostly housewives, have attained new levels of meaning to their life. The essence of education is the moulding of every student into a worthy citizen for the good of the world by discovering and developing the latent talents in him and making possible the formation of his character. 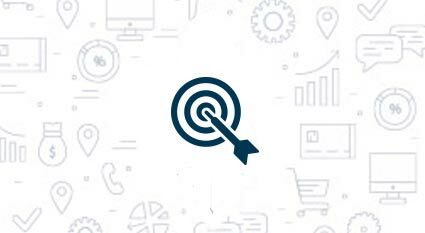 To fulfil this vision our mission is to formulate excellent educational methodologies through incessant research and make them available to every Indian student. We, in LABOUR INDIA, strive to help the student community achieve their highest potential and to make them globally competent, and thus to bring happiness to themselves and the society. We do so by providing products and services of superior quality at a fair price to our customers. 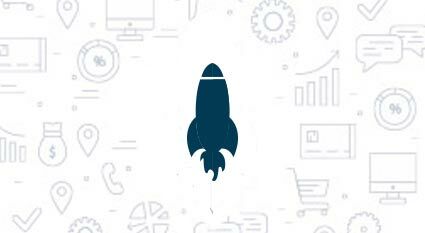 We also hope to ensure adequate profits to the enterprise to grow and thus provide the opportunity for our associates and shareholders to realize their reasonable personal objectives. Mr. V.J. 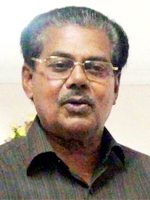 George Kulangara is the Founder Chairman of Labour India Group. 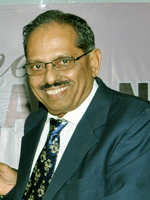 Mr. George Kulangara has received many awards and honours in his illuminous career. He has won the Outstanding Educationalist Award instituted by the National Independent Schools Association, recently. Mr. Santhosh George Kulangara, the first Indian space tourist designate, is the Managing Director of Labour India Publications Ltd. He is the founder of Safari TV channel as well as producer/director of the popular visual travelogue 'Sancharam'. He has won several honours including Kerala Sahitya Akademi Award,RAPA National Award,Kamal Patra Award,Yuva Prathiba Award & much more. Mr. Rajesh George Kulangara, the Executive Director of Labour India Group has his Graduation in Economics and Education & PG in Business Administration. He is playing a pivotal role in the core management of Labour India Group. Mr. Rajesh Kulangara is actively involved in Projects of Social cause. Prof. S. Sivadas, a prolific writer of children's literature both in English & Malayalam, is the Chief Editor of Labour India & the President of Labour India Educational Society. Honoured by several prestigious awards like Kendra and Kerala Sahitya Academy Award, N.C.E.R.T. Award etc. 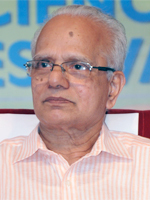 Prof. S. Sivadas, well acclaimed writer of children's literature, science fiction writer and a renowned educationalist. He is the author of more than a hundred books. He has received several awards and honours including Kendra and Kerala Sahitya Academy Award. Mr. K. K. Vasu, well known science fiction writer and civil service/NTSE trainer. The scholarship exam coaching, published in Labour India, is prepared by K. K. Vasu. Dr. A.P. Jayaraman, a former scientist in Bhabha Atomic Research Centre, visiting lecturer in several international universities and career expert. Dr. Jayaraman deals with several matters concerning scientific achievements and career zones published in Labour India. 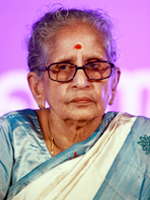 Dr. M. Leelavathi, a highly acclaimed writer, literary critic, orator and educationalist. 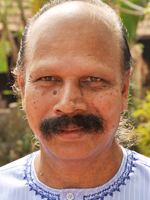 Recipient of several notable awards including Kerala Sahitya Akademi Award and Ezhuthachan Puruskaaram. The authenticities of Malayalam units are being verified by Leelavathi Teacher. Dr. N. J. K. Nair, former scientist and head of the department of geological survey in Thiruvananthapuram. A member of the Advisory committee of encyclopedia of the government of Kerala. Dr. N. J. K. Nair gives directions for preparing matters in Geography. 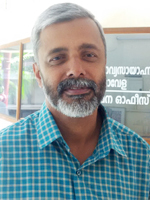 Dr. C. P. Arvindakshan, former head of the department of chemistry in the University of Kerala. He is a renowned scientist, recipient of Science and Technology Environment Council award, science writer and teacher's trainer. He prepares the science activities for Labour India journals. 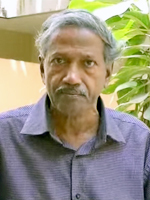 Sippy Pallippuram, a highly acclaimed writer of children's literature. Recipient of several awards including Kendra Sahitya Academy award for children's literature. The stories, poems and storytelling performance published in the Labour India magazine for lower primary classes are prepared by him.